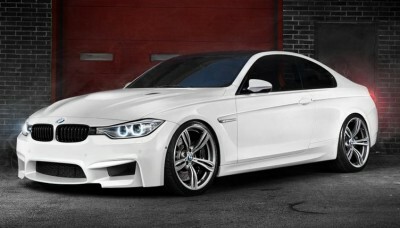 The question we have to ask now is whether the BMW M4 Coupé fits the popular definition of being a proper coupé. The BMW M4 Coupé certainly fits the Collins Dictionary definition, what with the low, curvaceous silhouette, the pair of sleekly tailored doors with body-coloured handles. In the looks department, it fits the modern definition as well. The deep, deep air intakes, the dual twin exhausts with their chrome trim and the double-spoke 19-inch alloy wheels (dual twin exhaust = twin pipes on the left, twin pipes on the right). Add in the adaptive bi-xenon headlights and the 3D LED tail lights, plus an overall air of speed and power in every line of the styling – to say nothing of the M Sport badging – and you’ve got gorgeous looks all right. Oomph under the bonnet? Definitely. The BMW M4 Coupé has a straight-six turbocharged 3-litre petrol engine that has had everything that BMW’s M tuning can throw at it (short of what they throw at racing machines, that is). Dodging all the technical whatnots, this adds up to 317 kW of power and the sort of torque you ordinarily see only in diesel engines: 550 Nm of it. Does a 0–100 km/h sprint time of 4.1 seconds sound oomphy enough to you? Does it sound hot? It sure does to me! Of course, the BMW M4 Coupé’s engine doesn’t do it all by itself. The seven-speed transmission – M Double Clutch with Drivelogic – has something to do with that. This is a transmission system that isn’t quite like anything you’ll find in any other vehicle (except, of course, another BMW M). This system involves two subtransmissions, where each part of the system has its own automatic clutch (you’d run out of feet if you had two manual subtransmissions). It allows super-smooth gear changes, whether you control these via the gear-shifters or whether you just let the car do it all. The Launch Control function inside the BMW M4 Coupé is there to add to the fun. To get this rocket-like sensation, you need to deactivate the Dynamic Stability Control, which normally forms the stability package (it involves ABS brakes, dynamic traction control, cornering brake control, pullaway assist and dry braking), and select Drive Program 3. Make sure that the engine is at the right operating temperature. Then the BMW M4 Coupé can maximise the acceleration and really roar away. True to the vehicle’s racing inspired heritage, a little starter flag light on the dashboard will tell you when you’re all ready to hit the pedal and get the full experience. Needless to say, the BMW M4 Coupé looks gorgeous and powerful (those big air inlets at the front… the two-toned aerodynamic M mirrors… mmm!). It also sounds powerful, thanks to the way that they have carefully tuned the engine and the exhausts. The good looks are continued to the inside with the leather upholstery (four colour choices possible) and the carefully designed interior lighting package. Now, what about the bells and whistles? These days, things like Auto Stop/Start, park distance control and rear view cameras are all fairly standard on most cars worth their salt, so of course the BMW M4 Coupé has got them. It’s also got a surround sound audio system with 16 speakers, comfort access to the tailgate and dual zone climate control, to name just a few of the other convenience features in the. However, in the BMW M4 Coupé, the speed limiter allows you to set your preferred maximum speed to what you want – and you can still over-ride the limit you’ve set when you need to. That’s something you don’t get on most cars. 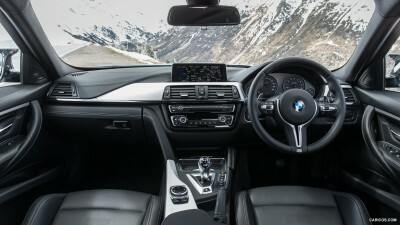 You also don’t get a navigation system as fancy as the one you get in the BMW M4 Coupé – it starts with the high-resolution 8.8-inch colour display and just goes from there, with 3D map and arrow display and a DVD drive alongside the 20 Gb hard disk drive. So does the BMW M4 Coupé fit the definition of proper sports coupé? Well, you’ll have to drive it to be perfectly sure, but I’d say that it certainly does. For any more information on the BMW M4 Coupé, or for that matter any other new car, contact one of our friendly consultants on 1300 303 181. If you’d like some fleet discount pricing (yes even for private buyers! ), we can submit vehicle quotes requests out to our national network of BMW dealers and come back with pricing within 24 hours. Private Fleet – car buying made easy!